Mike Ashley’s Sports Direct has agreed to buy House of Fraser in a deal worth £90m, just hours after administrators from big four accountancy firm EY were appointed to the beleaguered department store chain. It had been announced earlier on Friday (August 10) that talks with investors “did not result in a solvent conclusion”, after which Alan Hudson, Hunter Kelly, Colin Dempster and Craig Lewis from EY’s restructuring team were appointed as joint administrators. 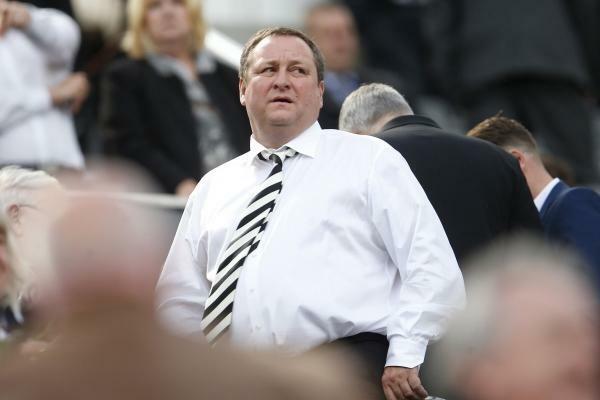 Shortly afterward, it was confirmed that Sports Direct, owned by billionaire Mike Ashley (pictured) would acquire all of the group’s business and assets in a deal worth £90m. All 59 stores have opened as usual on Friday, August 10, including 31 which have been identified for closure. However, the retailer’s website was down on Friday, with a message which said it would be “back up and running as soon as possible”, adding “we’re otherwise engaged”. House of Fraser - which began trading 169 years ago - employs 17,500 people, including 11,500 concession staff. Since the withdrawal of the proposed investment from Hong Kong-based Cenbest and Chinese fashion conglomerate C.Banner, House of Fraser has been in a racing against time to secure sufficient funding to ensure its future. EY joint administrator Alan Hudson said: “We have worked very closely with management, its advisors and creditors in recent weeks and are pleased that we have been able to successfully conclude a sale of the business in short timescales which preserves as many of the jobs of House of Fraser’s employees as possible.